Also referred as the ‘Silent Thief’, glaucoma was declared as the second most leading cause of blindness by the World Health Organization (WHO), cataracts being the first one. In fact, many eye diseases like age related macular degeneration, retinitis pigmentosa, diabetic retinopathy and cataracts are known to target older people, but glaucoma is an eye disease almost everyone is susceptible to. 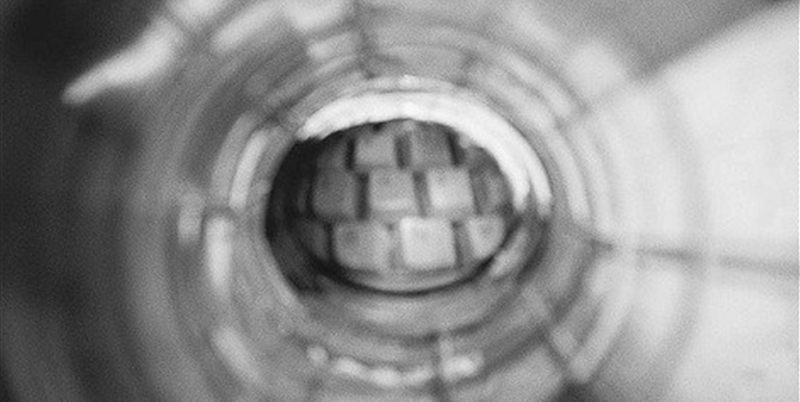 So, how can you make sure you are not the next victim of glaucoma eye disease? Arguably, there can be many different ways of doing so, with different people vouching for different approaches. However, there might be one common ground agreeable to almost all, i.e. early glaucoma diagnosis. 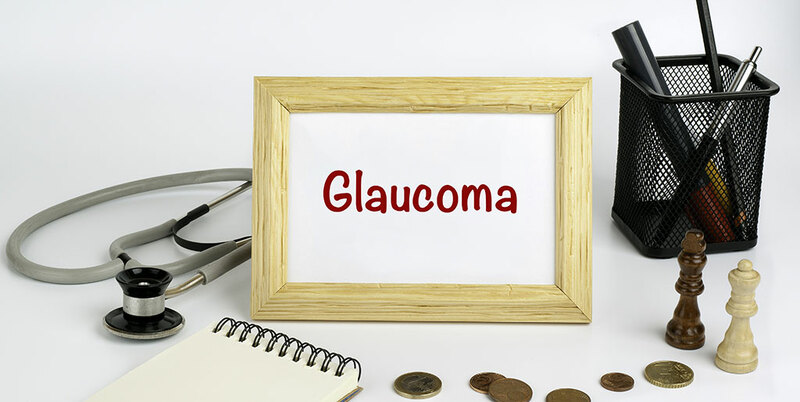 The sooner doctors are able to diagnose glaucoma, the higher are your odds to fight the disease, significantly containing the magnitude of damage it can inflict on your vision otherwise. In fact, this passage is exactly about it, getting acquainted with different methods used to determine the presence of glaucoma before it’s too late for them. Before knowing about the significance and purpose of different types of test used for glaucoma diagnosis, you better grasp the importance of your scheduled regular eye exams. These help your eye doctor keep track of your overall eye health and identify any anomaly as early as possible, increasing your chances of faring well against any eye disease including glaucoma. Tonometry: Used for measuring the pressure inside the eye, intraocular pressure or ‘IOP’. Ophthalmoscopy: Also referred as ‘dilated eye exam’, used for examining the shape and color of the optic nerve. Perimetry: Also referred as ‘visual field test’, this is to test the complete field of vision. Gonioscopy: A test used to examine the angle in the eye at which the cornea meets the iris. Pachymetry: This test is used by the eye doctors to gauge the thickness of the cornea. So, let’s have a further look at them. Schiotz Method: This method involves treating the desired eye with anesthetized eye drops. After that, the patient is advised to lie down on a table, looking at a fixed spot on the ceiling. Then the eye doctor lowers a ‘tonometer’ onto the anesthetized eye for a few seconds to take the reading of the intraocular pressure. The other eye also gets the same treatment if needed. Applanation Method: Principally, this method is a measure of the force needed to flatten a portion of the cornea. It requires the patient to sit upright. 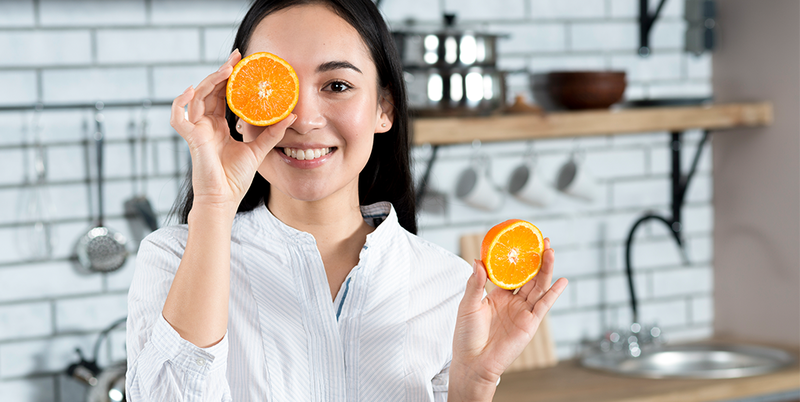 An orange dye referred as ‘fluorescein’ is introduced into the eye by gently touching the side of the eye with a fine strip of paper. As a result, front of the eye is stained, which helps with the examination.Once dyed, the eye is treated with anesthetic drops. 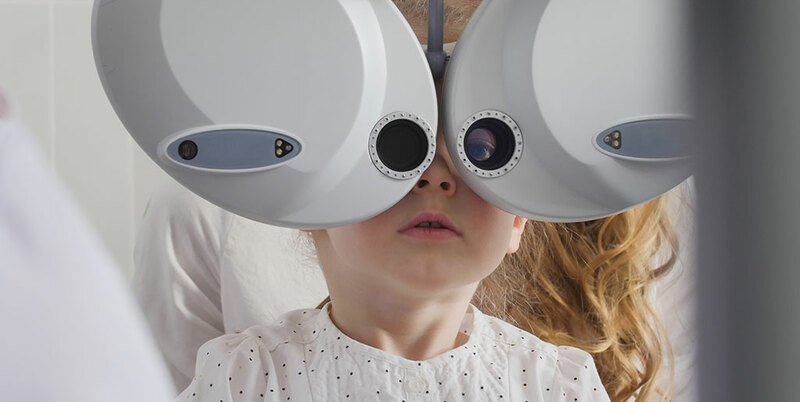 It is then exposed to a slit lamp microscope, requiring the patient to rest their forehead and chin on the support, all the while keeping their head steady and straight. A tonometer in the microscope is then brought close to the eye until it starts touching the eye and the doctor measures the eye pressure looking through the eyepiece. Noncontact Method: As the name suggests, this method is all about getting the job done without any physical contact with the eye, i.e. no instrument directly touching your eye. The patient needs to rest their head and chin across a padded support while sitting straight. The patient is then asked to stare straight into the examining instrument, fixating on a target light source. Now a puff of air is blown and the intraocular pressure is calculated by examining the changes in the light reflected off the cornea, while the air is being blown into the eye. Also known as ‘Dilated Eye Exam’, doctors rely on this procedure to examine the damage inflicted by glaucoma upon your optic nerve. The pupil of the eye to be examined is dilated using special eye drops, so that the shape of the optic nerve can be examined conveniently by the ophthalmologist. 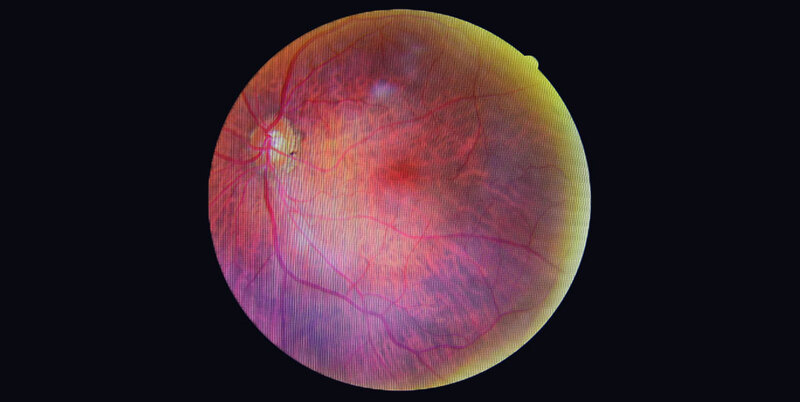 This pupil dilation is followed by exposing the eye to a small device with a light on the end, so that the doctor can get a clear and magnified view of the optic nerve. 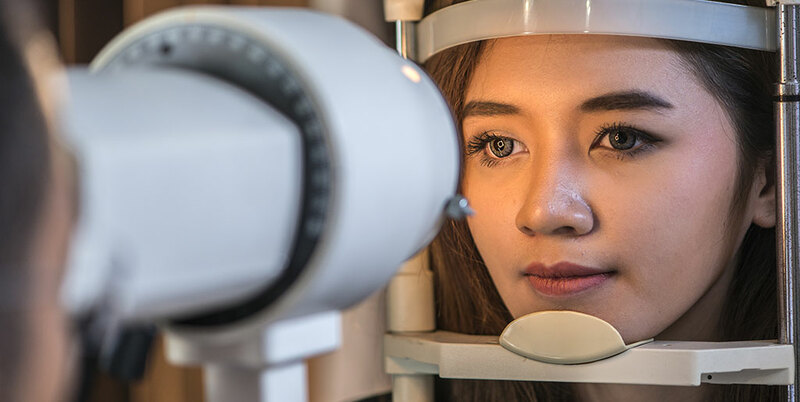 If the doctor finds anything odd about the size and shape of your optic nerve, or the pressure is not within the normal range, you may need to undergo two more glaucoma eye exams, i.e. perimetry and gonioscopy. Perimetry is basically a visual field test designed to come up with a complete map of your field of vision, helping your doctor determine if glaucoma has affected your vision. It requires you to look straight ahead and respond to the movement of light as and when it passes through your peripheral vision or side vision. This helps the doctor ‘map’ your vision. Your doctor may also recommend you to take this test repeatedly to observe if the results remain the same or differ each time. After positive glaucoma diagnosis, you are normally required to take visual field tests two times a year to identify any changes. This test is aimed at examining the angle where iris meets the cornea to assess whether it’s open and wide enough or closed down and narrowed. First of all, the eye is numbed using specific eye drops, after which the doctor gently places a handheld contact lens on it. There is a mirror on this contact lens, which helps the doctor check if the angle between iris and cornea is narrowed or blocked (a possible indication of angle closure glaucoma or acute angle glaucoma) or opened up and widened (a possible indication of open angle glaucoma or chronic glaucoma). Pachymetry represents a painless and simple way of measuring the thickness of your cornea with the help of a probe known as ‘pachymeter’ by placing it gently on the cornea. Measuring corneal thickness becomes pertinent, because it can potentially influence eye pressure readings. And, it doesn’t take more than a couple of minutes at most to measure IOP in both of your eyes. To conclude, the best thing is to strive for optimal eye health, not skipping your regular eye exams and contacting a specialist if you’re diagnosed with glaucoma. And, the second best thing is to not lose hope if you’ve already suffered vision loss due to glaucoma or some other sight-threatening eye disease, because there are alternative low vision solutions like IrisVision – one of the best low vision aids combining vision science with the best of modern technology. What’s more? Well, what about you can try it for free and get your mind blown before getting one for your particular case of vision loss. It would be a win-win scenario for you anyway, which makes it even more worth trying.